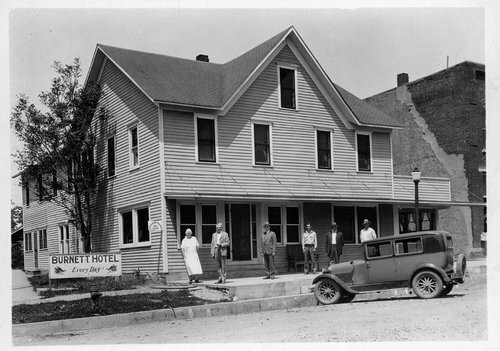 Two photographs of the Burnett Hotel in Colony, Kansas. One shows the exterior with an automobile parked on the street and people on the sidewalk. The second photograph shows people in the restaurant.